Located in Mid-City New Orleans, Malveau Law Firm, L.L.C. is a boutique law firm that caters to clients with a wide range of legal issues throughout Southern Louisiana. We are dedicated to advancing our clients’ best interests regardless of what their legal situation might be, and we will never back down from even the most complex case. We are personally committed to protecting your interests whatever the legal case may be. We have established a reputation for excellence and have proven to be committed to protecting the rights of our clients. 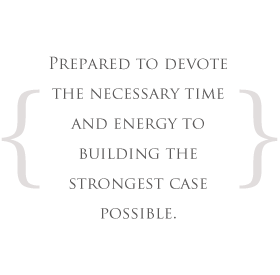 We have an unwavering dedication to providing skilled and high quality legal representation. At Malveau Law Firm we strive to do everything possible to protect our clients rights. We take your case seriously and will personalize our services to fit your needs. Call today for a free consultation and let us zealously advocate for you!